A native of Cambodia, Dr. Ung completed his medical education in Philadelphia. 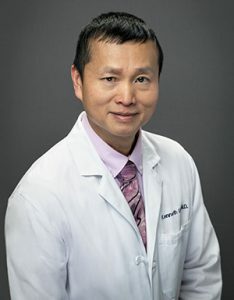 After graduating from Philadelphia Central High School, Dr. Ung completed his undergraduate work at the University of Pennsylvania and went on to medical school at Temple University. After completing his residency at Albert Einstein Hospital, Dr. Ung joined Delaware Valley OB/GYN. Among his colleagues and patients, he is known for his gentle style, patience, excellent surgical skills and sense of humor.